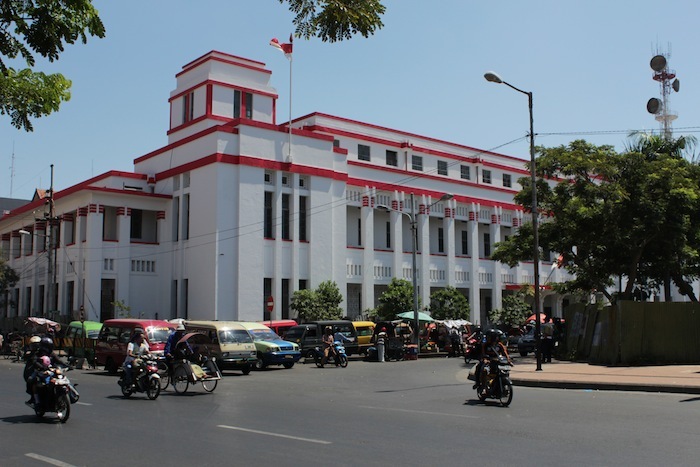 Fig 1 – N.V. Maatschappij Tot Exploitatie van het Technisch (1916), also known more familiarly as the Cigar Building, Jalan Rajawali. Designed by Bureau Gebroeders Knoed (the Knoed Brothers). 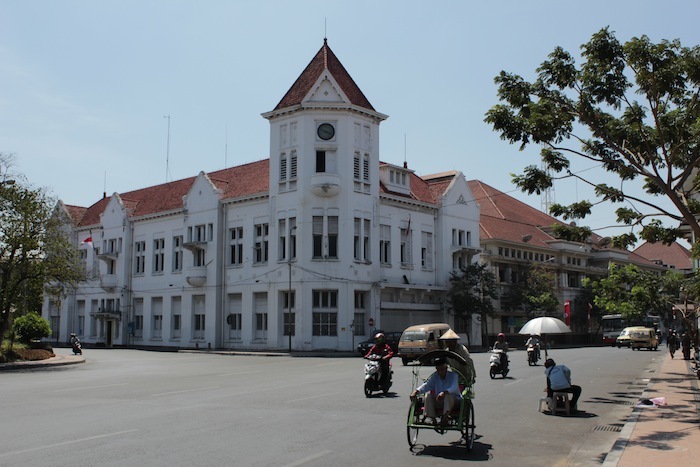 The colonial is everywhere in Surabaya, even as it lies buried underneath a layer of outwardly nationalistic symbols and slogans. 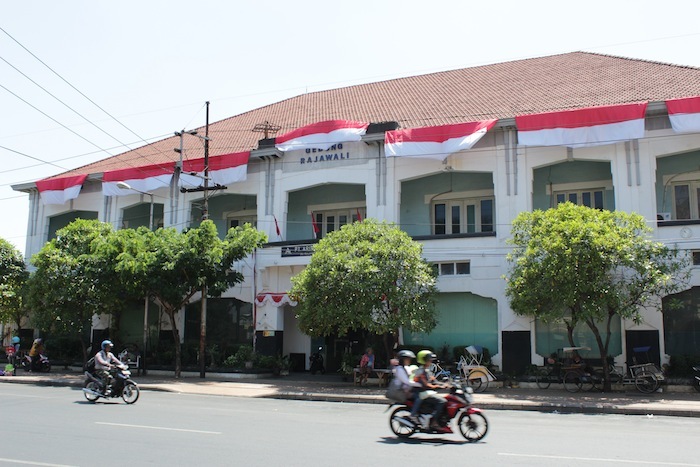 Behind the banners in Bahasa, and past the hordes of chugging motorcycles and cars, the Dutch East Indies still lurks, like a spirit biding its time. 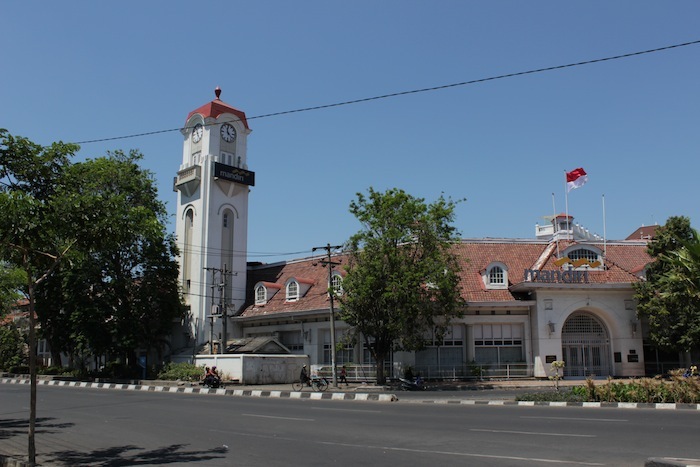 The weekend I was here in Surabaya, the streets were comparatively less congested, on account of the Idul-fitri holidays. 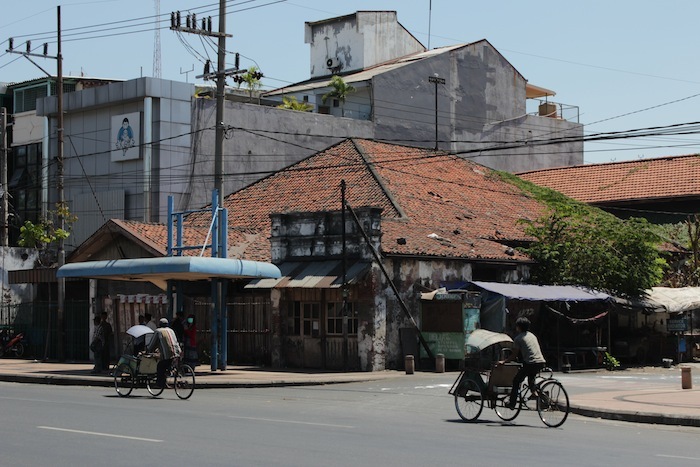 And so I was, rather fortuitously, able to capture these fleeting moments of stillness in the urban fabric, when the past seeps into the present: a becak, and a stately old building, and voila (!) I have a scene straight out of the 19th century. Most of these colonial shots were taken along Jalan Rajawali, west of Jembatan Merah (or the Red Bridge), and along the main thoroughfares of Jalan Jembatan Merah, Jalan Pahlawan and Jalan Tunjungan. I call this area “Old Town West” – not just because it was the European (i.e. Western) City, but also because it was quite literally centered west of the Red Bridge and Kali Mas (the Mas River). 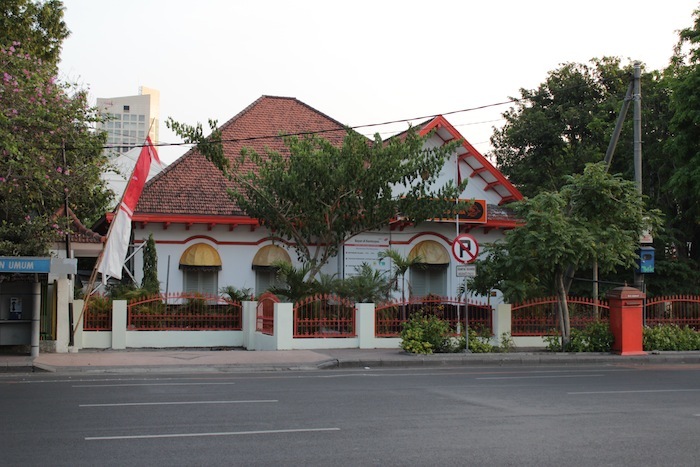 While the Dutch Colonial project was ultimately doomed due to its being so far removed from the lives of ordinary Javanese, their architectural legacy has proven to be anything but transient. Jembatan Merah (the Red Bridge) in the foreground, and behind it, a row of colonial-era commercial buildings, Jalan Rajawali. 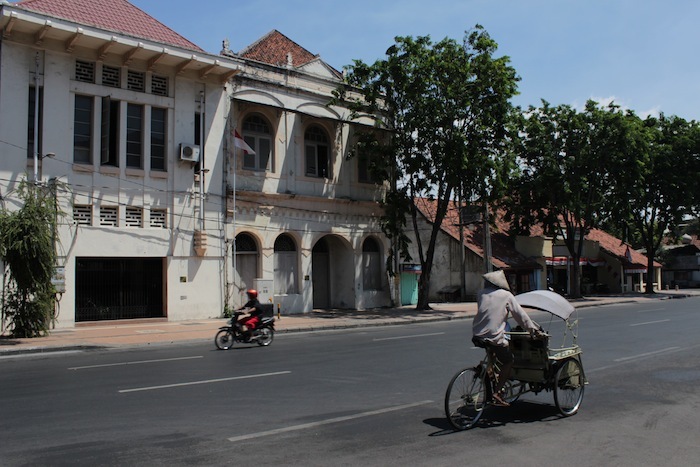 Colonial facades and the ubiquitous becak, Jalan Rajawali. Cool blue and white colonial façade, Jalan Rajawali. Former AIA Bureau, designed by Ghijsels. At the junction formerly known as “Hereenstraat and Wilemsplein.” This building now sits beside the frightful Jembatan Merah Mall (not shown here). 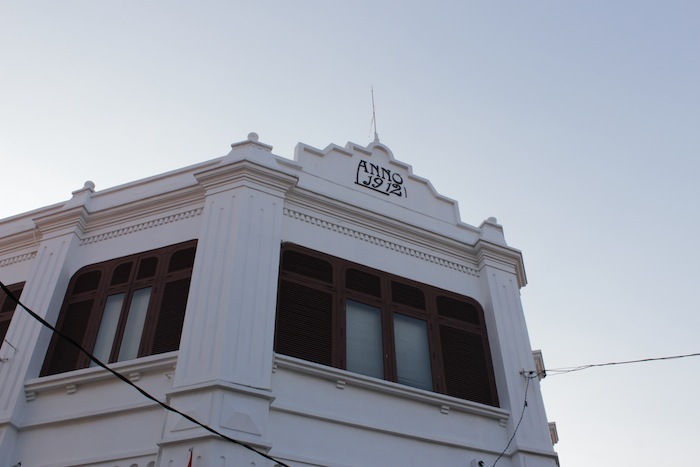 Colonial Facade, Jalan Rajawali. The facade is adorned with the relief of an owl. 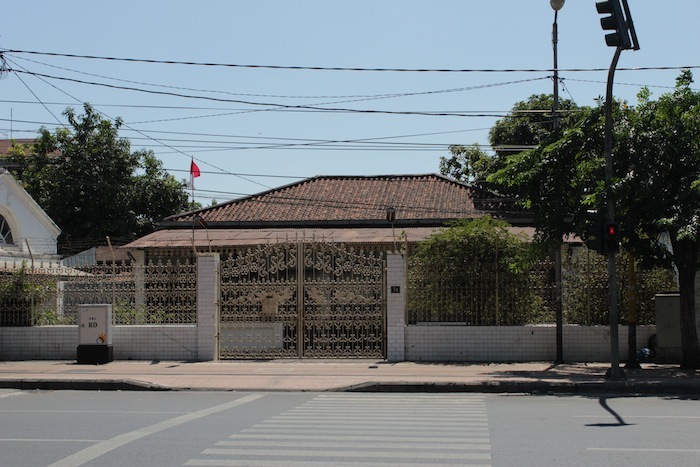 Colonial Bungalow sitting silently behind shut gates, Jalan Rajawali. With nary a trace of irony: Holland Bakery, the end of my walk down Jalan Rajawali. 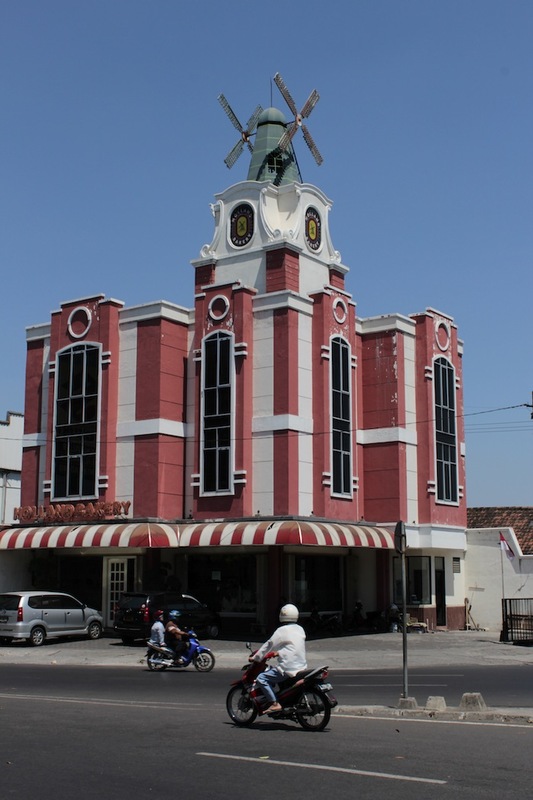 Clock Tower, Jalan Jembatan Merah. 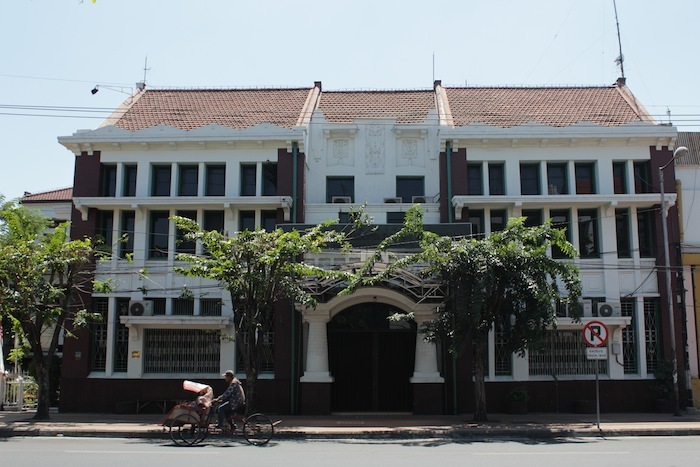 Mandiri Bank Building (1911), designed by Hulswit, Fermant and Edcuupers Architects from Batavia. 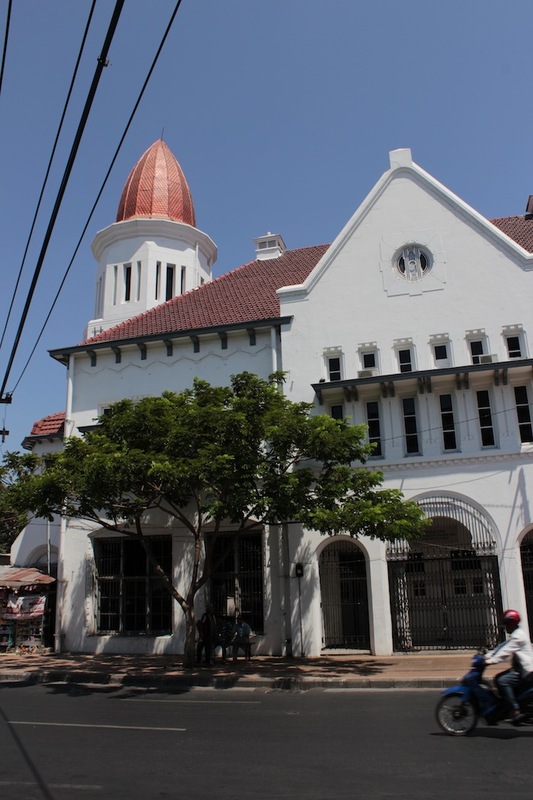 Previously the Lindeteves Building, belonging to a Dutch trading firm. 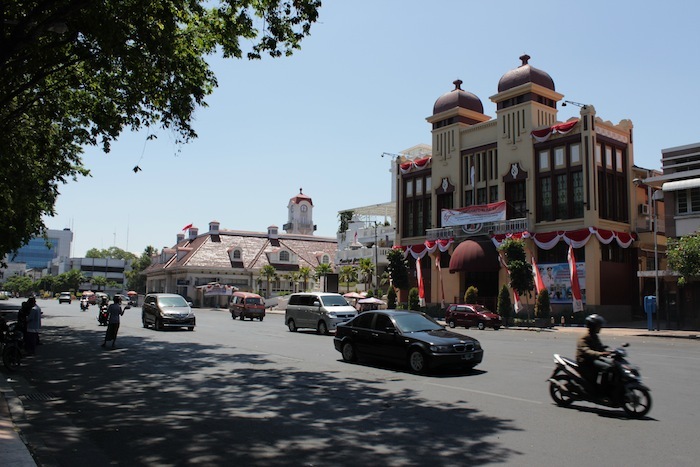 Jalan Pahlawan. 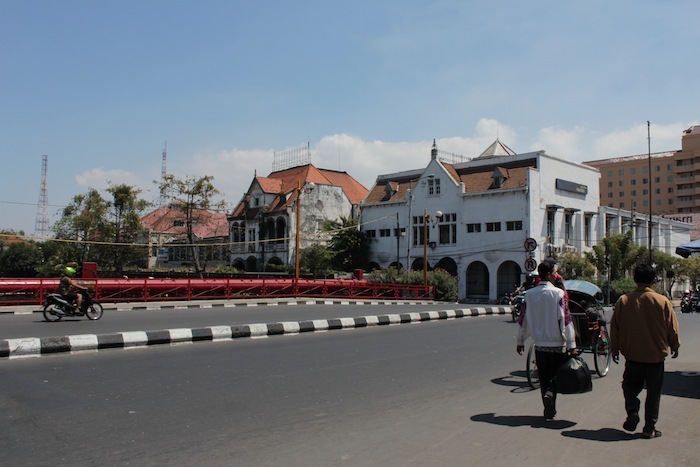 View on Jalan Pahlawan towards the Surabaya City Post Office (1800s), which was the Governors’ House till 1928. 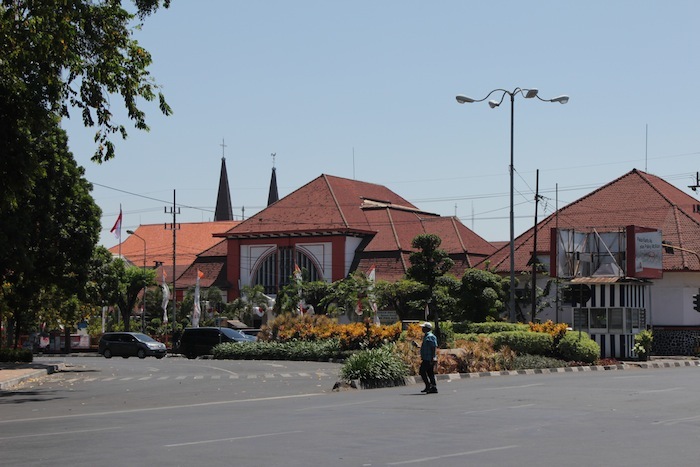 Behind it are the twin spires of the Geraja Kelahiran Santa Perawan Maria – the oldest Roman Catholic Church in Surabaya. 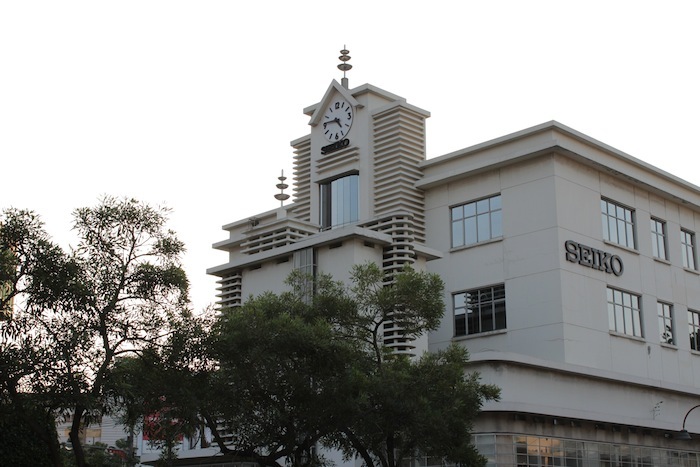 Soeara Asia Building, previously the Brantas Building, on Jalan Pahlawan (previously Aloon-aloon Straat). 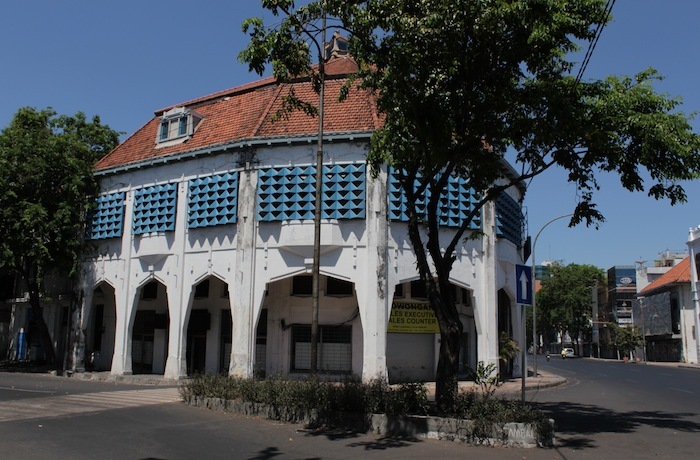 The Gouverneurs Kantor (1929 – 1931), Jalan Pahlawan. 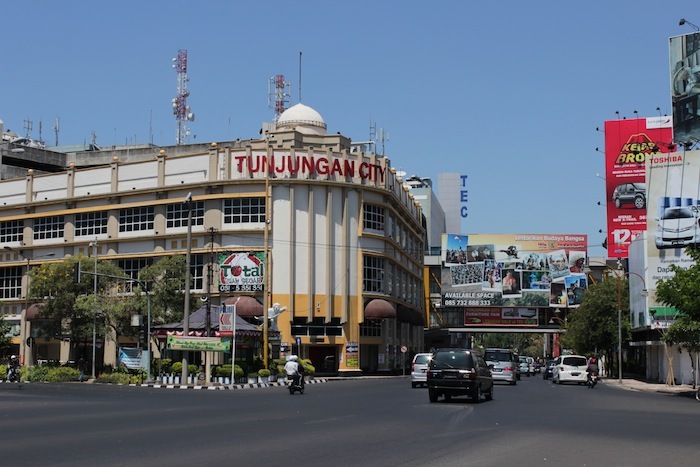 Tunjungan City Building, Jalan Tunjungan. Blue on white façade on Jalan Tunjungan. 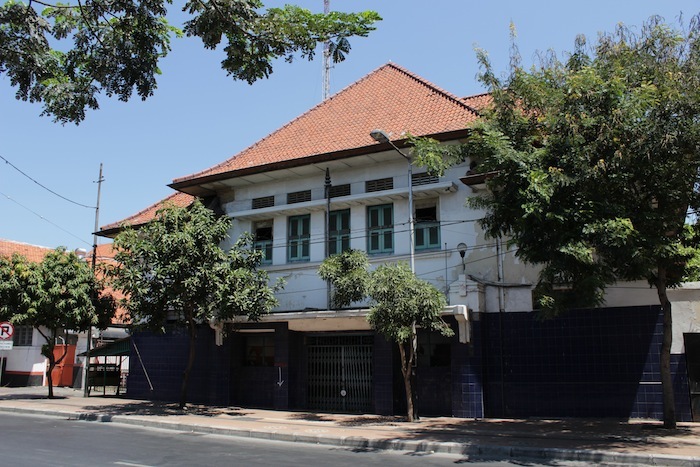 Rabobank Building (1912), Jalan Tunjungan. 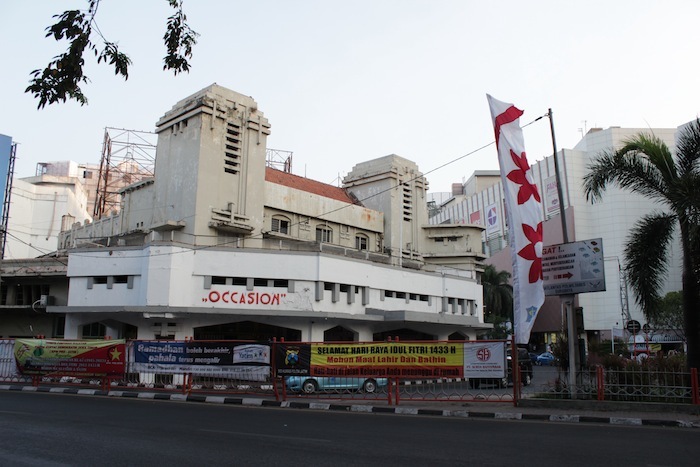 Art Deco Building on Jalan Tunjungan. 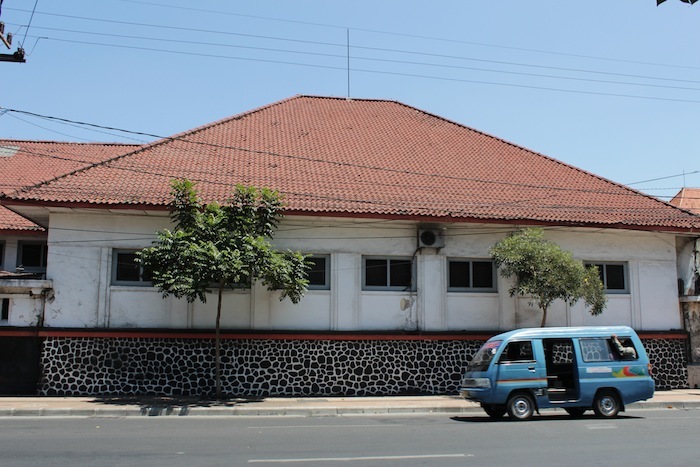 Simpang Sub-branch Post Office (1815) – the first post office in Surabaya. 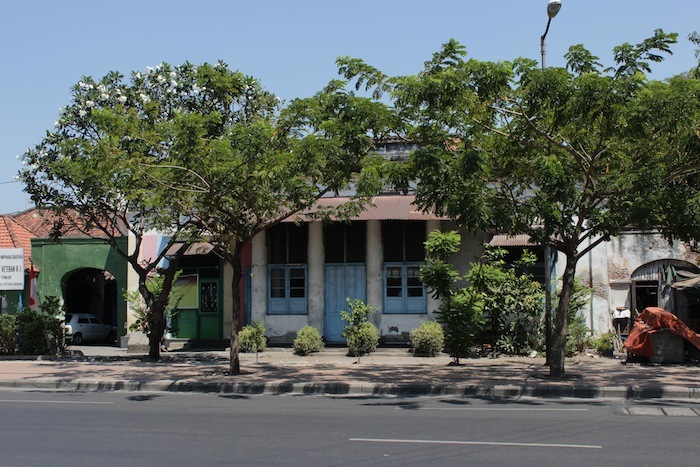 Jalan Gubernur Suryo. 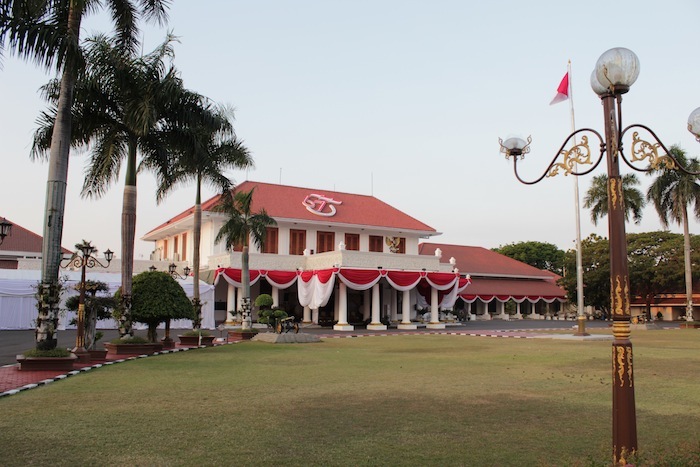 Grahadi Building (1795), previously the Raad van Justitie (High Court), and now the residence of the Governor of East Java. 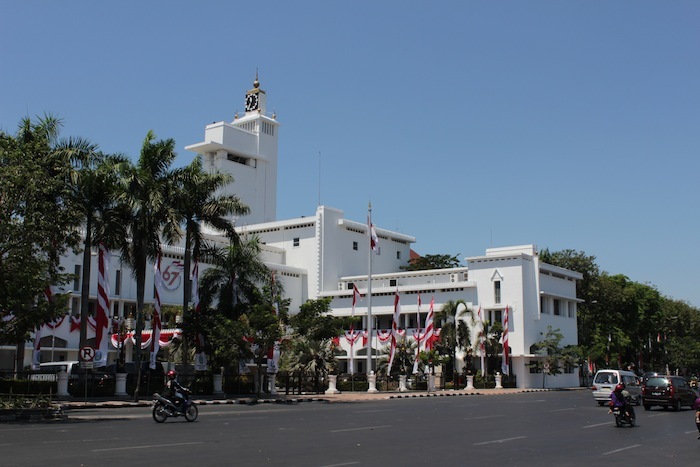 Jalan Gubernor Suryo. Behind the building flows the Kali Mas. 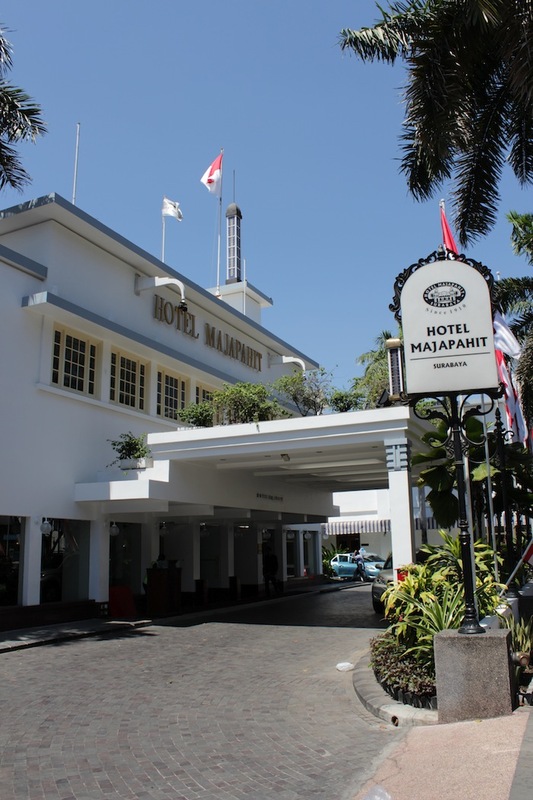 Gallery | This entry was posted in Art & Architecture, Cities & Regions, Culture & Lifestyle, Landmarks & History, Photography, Travel & Mobility and tagged Dutch Colonial Architecture, Dutch East Indies, Hotel Majapahit, Indonesia, Jalan Pahlawan, Jalan Rajawali, Jalan Tunjungan, Jembatan Merah, Old Surabaya, Oud Soerabaja, Surabaya, Tempo Dulu, The Grand Tour, The Grand Tour of Southeast Asia, The Old Town. Bookmark the permalink.